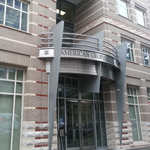 WASHINGTON, DC—The American Geophysical Union (AGU) recently announced its 2012 class of Fellows. This honor is given to individual AGU members who have made exceptional scientific contributions and attained acknowledged eminence in the fields of Earth and space sciences. Since the establishment of the AGU Fellows program 50 years ago, and in accordance with AGU bylaws, no more than 0.1 percent of the total membership of AGU is recognized annually. Daniel R. Cayan, U.S. Geological Survey, and Scripps Institution of Oceanography, La Jolla, Calif.
Thomas E. Parsons, U.S. Geological Survey, Menlo Park, Calif.
Daniel M. Murphy, Earth System Research Laboratory, National Oceanic and Atmospheric Administration, Boulder, Colo.
Stephen Self, U.S. Nuclear Regulatory Commission, Washington, D.C.
Robert H. Byrne, College of Marine Science, University of South Florida, St. Petersburg, Fla.
John M. Ferry, Department of Earth and Planetary Sciences, Johns Hopkins University, Baltimore, Md. Patrick T. Newell, Applied Physics Laboratory, Johns Hopkins University, Laurel, Md. F. Michael Flasar, NASA Goddard Space Flight Center, Greenbelt, Md. Richard A. Houghton, Woods Hole Research Center, Falmouth, Mass. Raymond W. Schmitt, Woods Hole Oceanographic Institution, Woods Hole, Mass. Peter R. Jaffe, Department of Civil and Environmental Engineering, Princeton University, Princeton, N. J.
Ronald J. Stouffer, Geophysical Fluid Dynamics Laboratory, NOAA, Princeton, N. J.
Anthony D. Del Genio, NASA Goddard Institute for Space Studies, New York, N.Y.
Peter B. deMenocal, Lamont-Doherty Earth Observatory, Columbia University, Palisades, N. Y.
Amilcare M. Porporato, Department of Civil and Environmental Engineering and Nicholas School of the Environment, Duke University, Durham, N.C.
Neil McPherson Donahue, Carnegie Mellon University, Pittsburgh, Pa.
Edward T. Baker, Pacific Marine Environmental Laboratory, NOAA, Seattle, Wash.
Timothy Peter Burt, Department of Geography, Durham University, Durham, U.K.
Roger C. Searle, Department of Earth Sciences, Durham University, Durham, U.K.
More information on the AGU Fellows can be found on AGU’s website.